US 64 Red Horse Creek, Woods County. 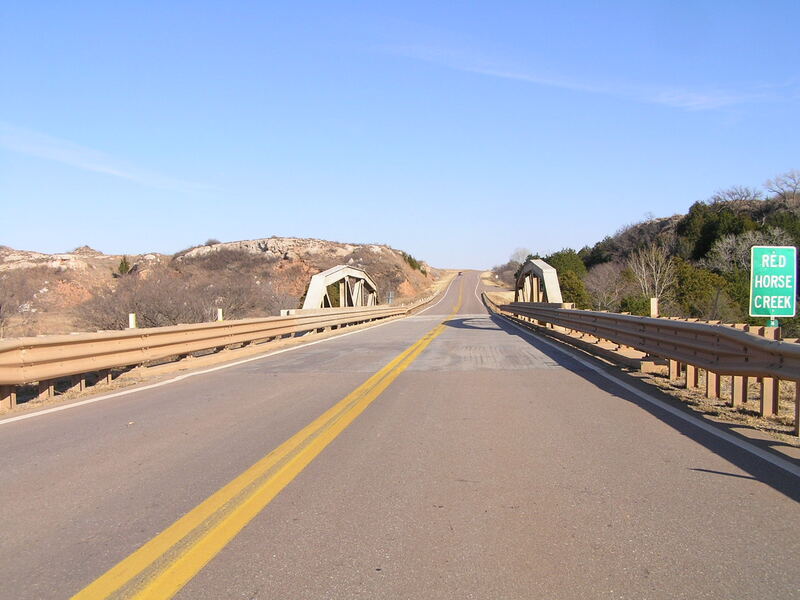 Built in 1933, the bridge shown in these three photographs carry US 64 through a very scenic region between Alva and Camp Houston. 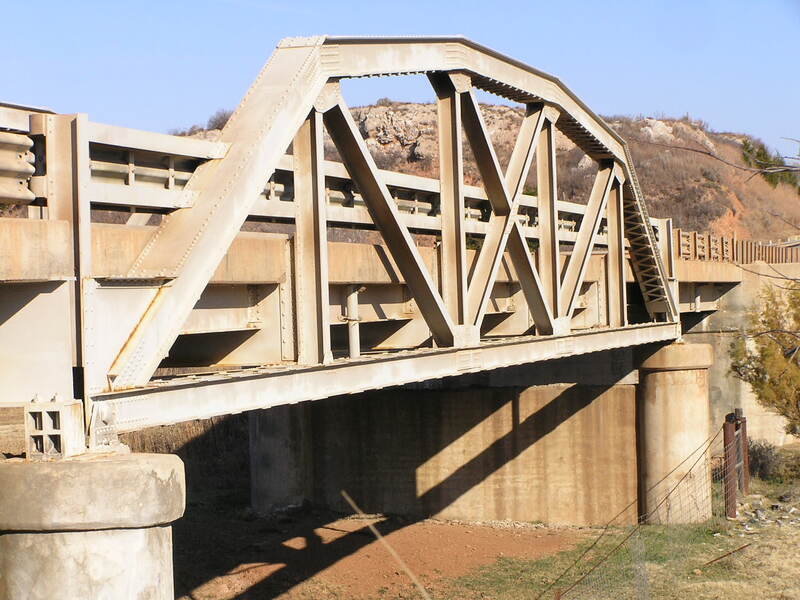 Though the concrete "fence" style railings on the approaches have been replaced with generic steel railings, this bridge retain most of its original features and is in overall good shape. 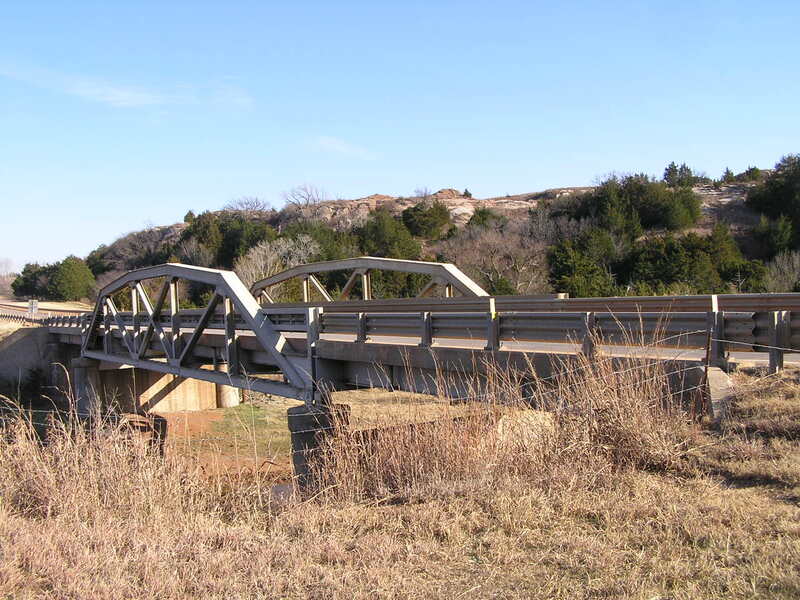 It is hard not to like the setting of this bridge's locations, and the shots chosen here show not just the 100-foot long riveted steel span with its steel stringer approaches, but the rocky hills nearby.